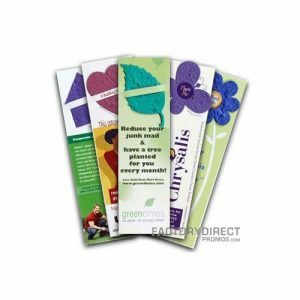 Instead of a typically boring business card let us print your business cards on recycled seed paper for a memorable and distinctive marketing tool. 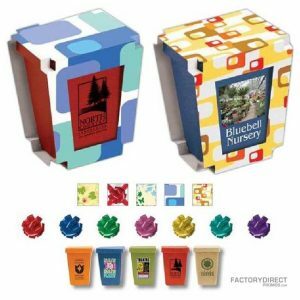 Our seed paper is embedded with wildflower seeds and shortly after the biodegradable paper is planted flowers will sprout. 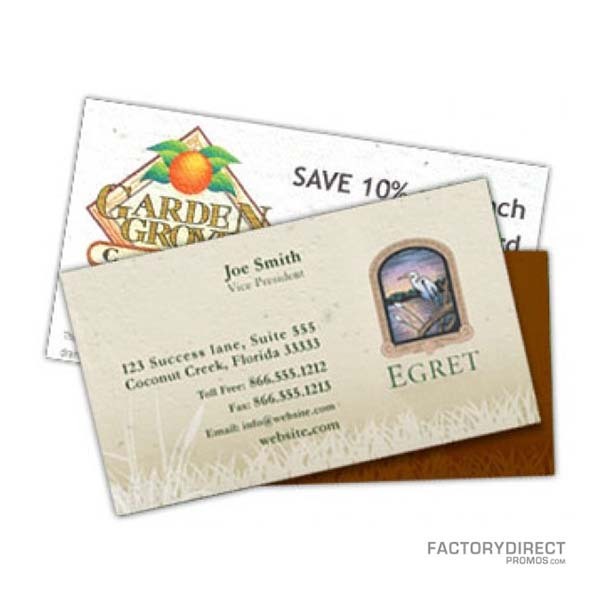 Seed business cards from Factory Direct Promos are a great way to market your business and your environmentally responsible stance. 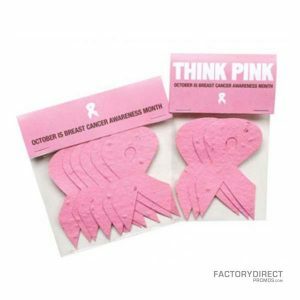 These handy cards measure 2″ x 3.5″ and are great for direct mail inserts, leave behinds, gift cards and hand-outs. Long after the card is gone the beautiful flowers will remind your clients about your company.